What Is the Optic Chiasm and How Does it Affect Vision? The optic chiasm is an X-shaped structure formed by the crossing of the optic nerves in the brain. The optic nerve connects the brain to the eye. To biologists, the optic chiasm is thought to be a turning point in evolution. 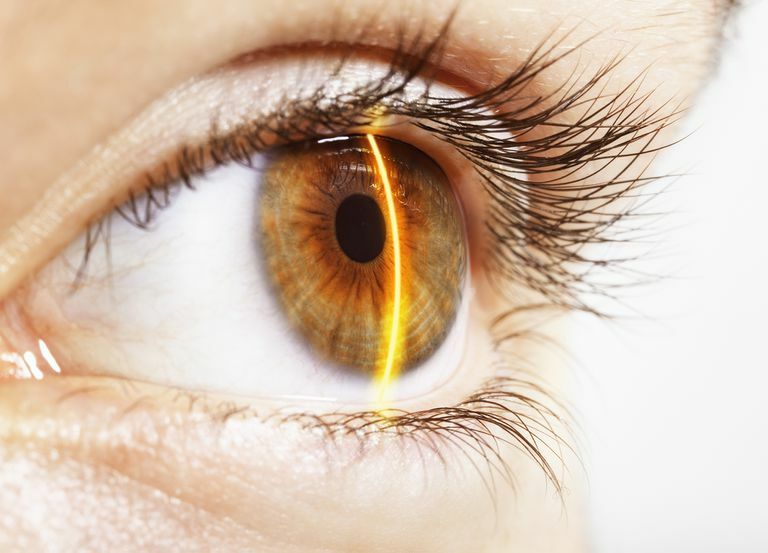 It is thought that the crossing and uncrossing optic nerve fibers that travel through the optic chiasm developed in such a way to aid in binocular vision and eye-hand coordination. At the optic chiasm, nerve fibers from half of each retina cross over to the opposite side of the brain. The fibers from the other half of the retina travel to the same side of the brain. Because of this junction, each half of the brain receives visual signals from the visual fields of both eyes. The most common disorder affecting the optic chiasm is a pituitary adenoma. Pituitary adenomas are benign tumors. In most cases, they have no impact at all, but in some cases, they can affect vision, sometimes causing vision loss. As they grow in size, pituitary adenomas can put pressure on important structures in the body, such as the optic nerve. Putting pressure on the optic nerve may cause blindness, so it is crucial for eye doctors to detect pituitary tumors before they cause damage to vision. The pituitary gland is about the size of a bean and is attached to the base of the brain behind the nasal area. it sits right under the optic chiasm. Although small, the pituitary controls the secretion of many different types of hormones. It helps maintain growth and development and regulates many different glands, organs, and hormones. Changes in hormones can cause significant changes in our bodies. When a disease or lesion affects the optic nerve before it reaches the optic chiasm in the brain, the defect in the vision will show up in only one eye and can affect the entire field of that eye. People that suffer from a one-sided defect sometimes do not notice it until one eye is covered. This is because, when both eyes are open, the overlapping visual fields of each eye will mask the defect. If the disease affects the optic tract after the chiasm, the person will have a defect in their vision in both eyes, but the defect will alter the same half of the visual field. Kidd, D. The optic chiasm. Handb Clin Neurol. 2011;102:185-203. O’Connell JEA. The anatomy of the optic chiasma and heteronymous hemianopia. Journal of Neurology, Neurosurgery, and Psychiatry. 1973;36(5):710-723. Prasad, Sashank. Visual problems due to pituitary tumors. Brigham and Women's Hospital. Web. 2016. Why do I need a visual field test? How Does Smoking Affect Your Eyes? What Happens During an Eye Stroke?